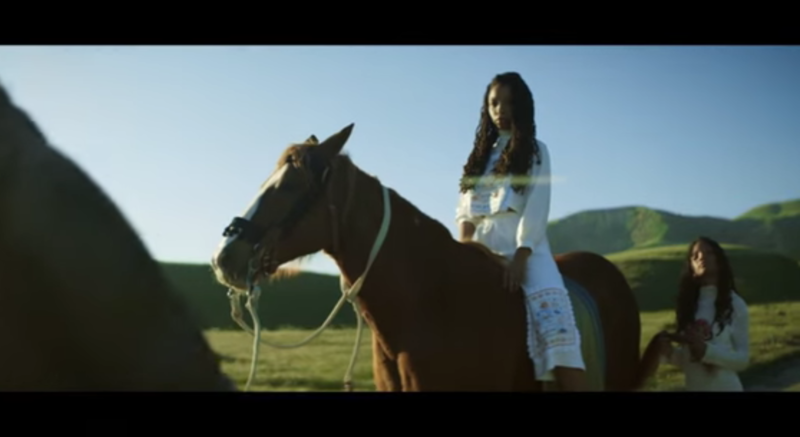 #ICYMI / Music / Music video / New Music Watch Chloe x Halle's new video for "Drop"
Here's a local connection: yesterday, sister-singer duo Chloe x Halle released a video for "Drop", directed by Halifax's Andrew Hines. It's an absolutely stunning visual that complements an incredibly stunning song. Last year, after millions of views on their homemade Youtube videos, and a gorgeous cover of Beyoncé's "Pretty Hurts", Chloe and Halle Bailey were signed to Bey's new label Parkwood Entertainment. You can't get a more powerful co-sign than that, and the girls just performed at South By Southwest for Michelle Obama. The sky's the limit. For another local connection, the video for their debut single was edited by Jason Eisener (Hobo with a Shotgun) after it was filmed at Big Sky Movie Ranch, where Django Unchained and Transformers went down. The aesthetic of "Drop" is all about lush landscapes, gorgeous textures and rich colours; the song is unbelievably mature. Move over Rae Sremmurd. It's no surprise that "Drop" is so aesthetically captivating and symbolically heavy—Hines has been killing the music video game for the past few years. His black-and-white masterpiece for Big Sean's "One Man Can Change The World" (featuring Kanye West) won a 2015 MTV Music Award for Best Video with a Social Message and his video for A$AP Ferg's "Shabba Ranks" is still hot with fire. You can watch more of Hine's videos here, but for right now, watch "Drop" and keep your ears open for more from these queens. "Ballin' so hard they figured I play for Nava Scotia"
Jason Eisener's film looks bloody good.